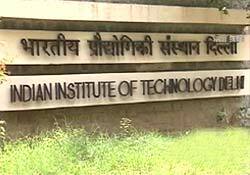 Indian Institute of Technology (IIT), Delhi invites Applications for admission to executive Master of Business Administration (MBA) programme for the session 2017. Aspirants can apply latest by February 20, 2017. Aspirants should have acquired a Bachelor's degree in Engineering/ Technology/ Architecture/ Pharmacy/ B.Sc Agriculture Engineering from a recognised university or institute. Aspirants will be selected on the basis of their performance in the written test, group discussion and personal interview.